Now you are ready for a workout when you wear this Tardis sports bra and shorts. 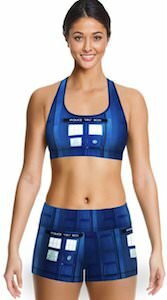 Any female Doctor Who fan that wants to look amazing while doing their exercises should check out this activewear set that includes a sports bra and a pair of shorts and both are blue and have the Tardis blue police box on them. 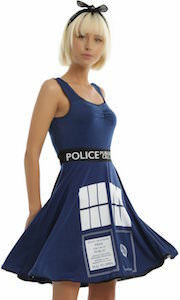 The Doctor Who activewear set is soft and stretchy and comes in many women’s sizes. 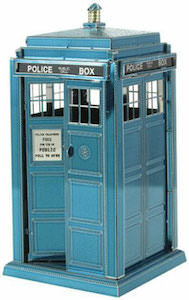 You can wear this Tardis set to your next yoga class or just wear it while watching TV at home.